A new, luxurious project is on its way from Core Development Group. 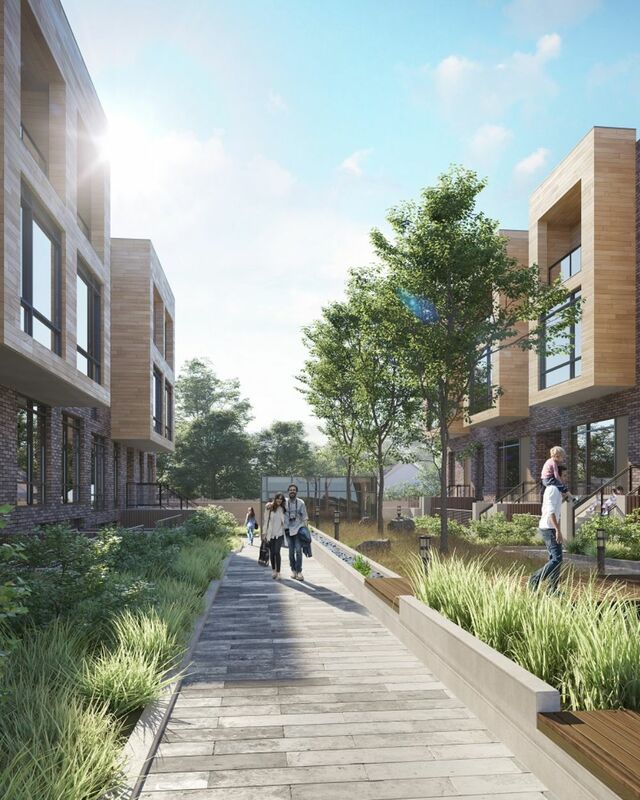 The group’s newest development is bringing a group of townhomes In East Toronto. The location by Birch Cliff will also be friendly to those prefer to travel on foot, with a considerable walk score of 66/100, ride score of 64/100 and 63/100 bike score. Residents who commute by car will find it simple to make their way into the city, able to also utilize public transit with Scarborough Town Centre subway station and GO station under a 20 minute drive away. MODERN DESIGN: Chic modern design meets vibrant outdoor living in every two-storey Urban Town at Birchcliff. Choose an upper level unit and entertain under blue skies on your rooftop terrace. Or go for the ground-level unit and plant your favourite flowers in your garden terrace. The one, two and three bedroom designs offer spacious, open concept layouts with expansive windows that let in abundant natural light. Living and dining areas seamlessly flow into sleek modern kitchens, while bedrooms offer all the privacy and solitude you desire. This is elegant, modern living at its best. TAKE IT OUTSIDE: We Canadians love the outdoors and Birchcliff Urban Towns offers ample opportunities to live it up under bright blue skies or magical starlit evenings. Head over to your rooftop terrace and treat loved ones to your barbecue skills. Or toast a special occasion in your beautiful garden terrace surrounded by lush plantings. Either way, you can entertain in style. socialize. Lit walkways and mini parkettes offer a safe, traffic-free environment for little ones to run free, while shaded benches offer a welcome respite from the demands of city living.